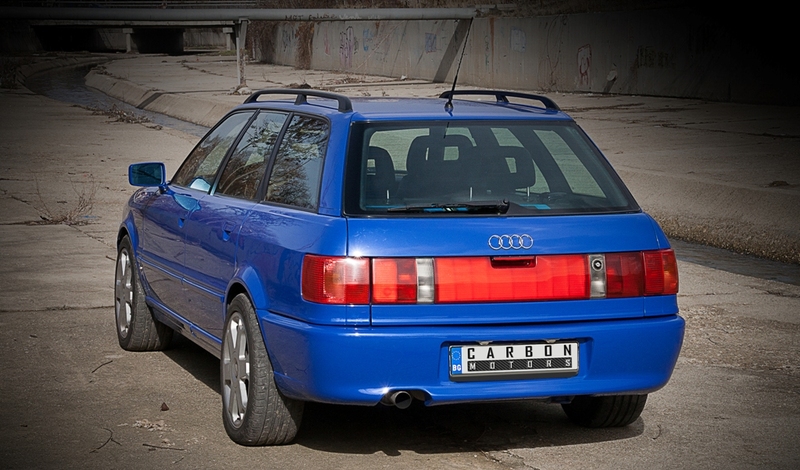 This Audi RS2 recreation is based on 1994 Audi 80 (B4) Avant Quattro. 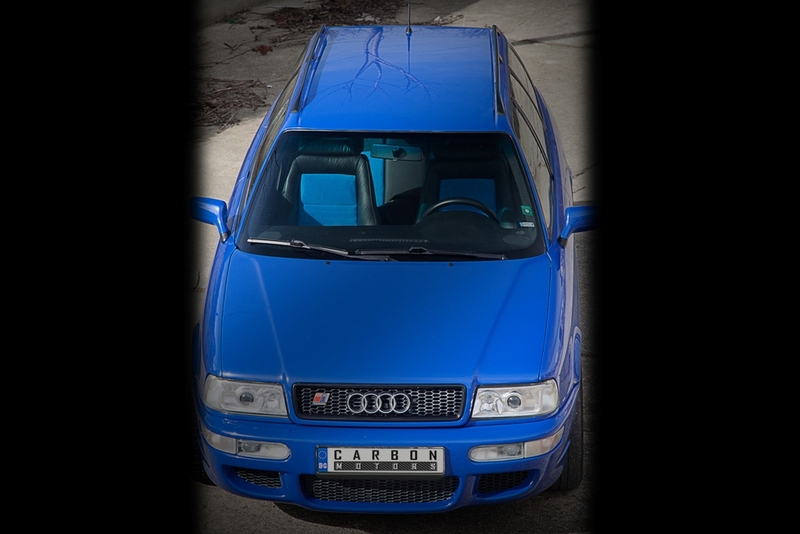 The presented vehicle has all original RS 2 body elements, as follows: front bumper, rear bumper, ellipsoid headlights with xenon, fog lights, turns signals, RS2 front and rear badges, RS2 tail panel. 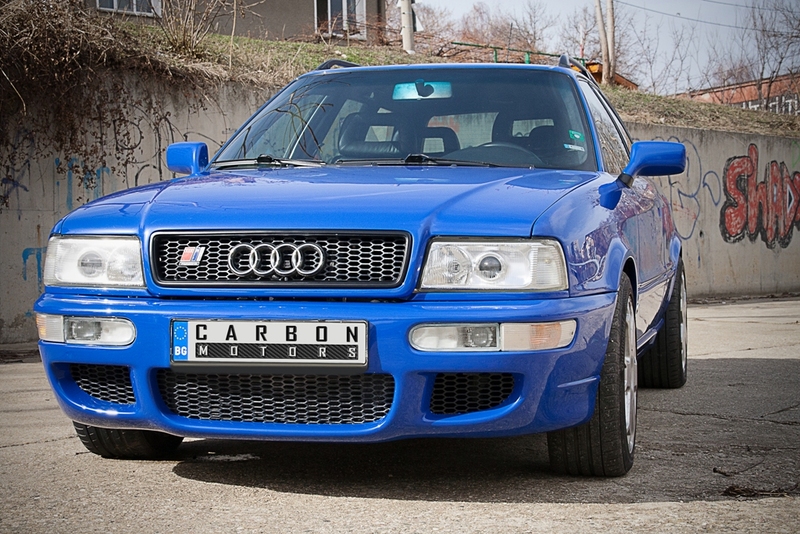 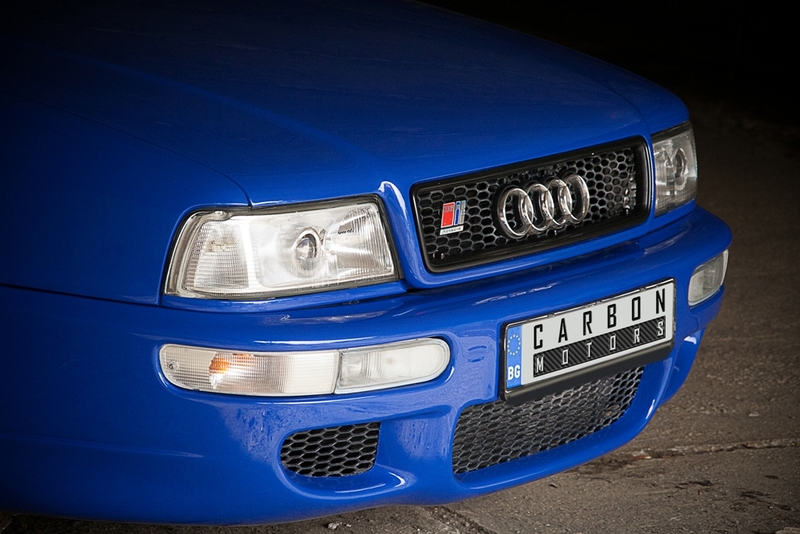 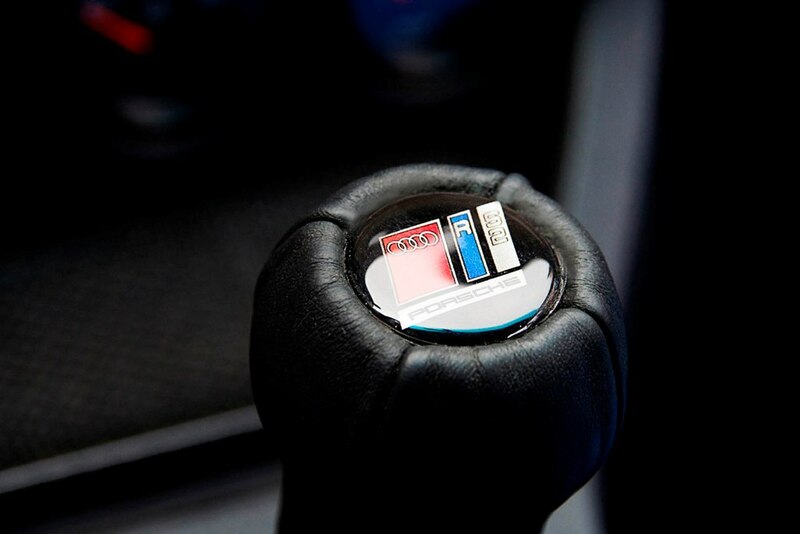 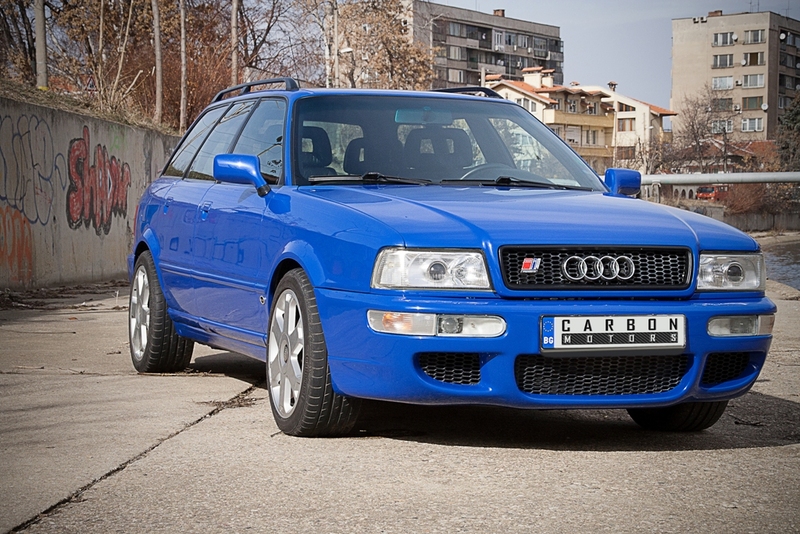 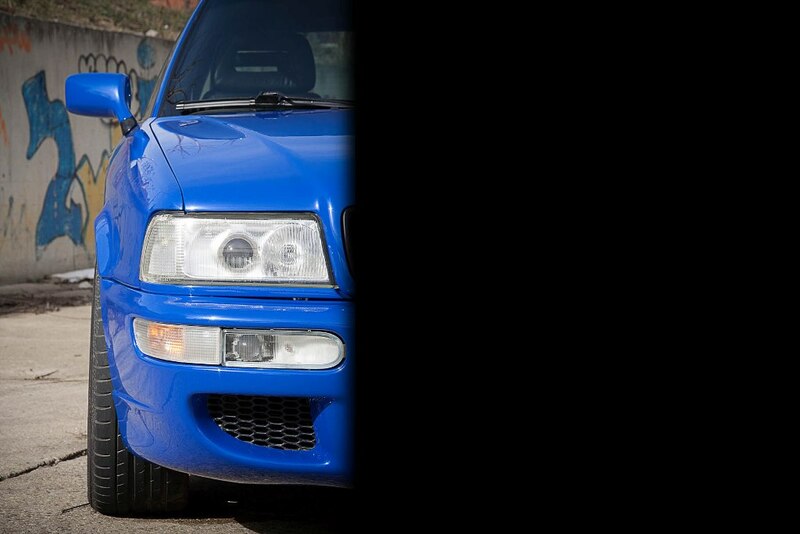 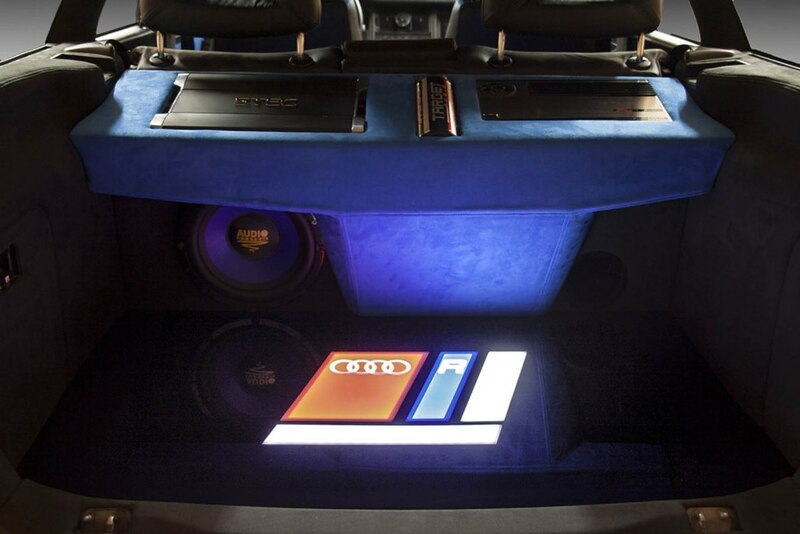 The car was fully painted in the original Audi RS 2 – Nogaro blue paint in January 2013. 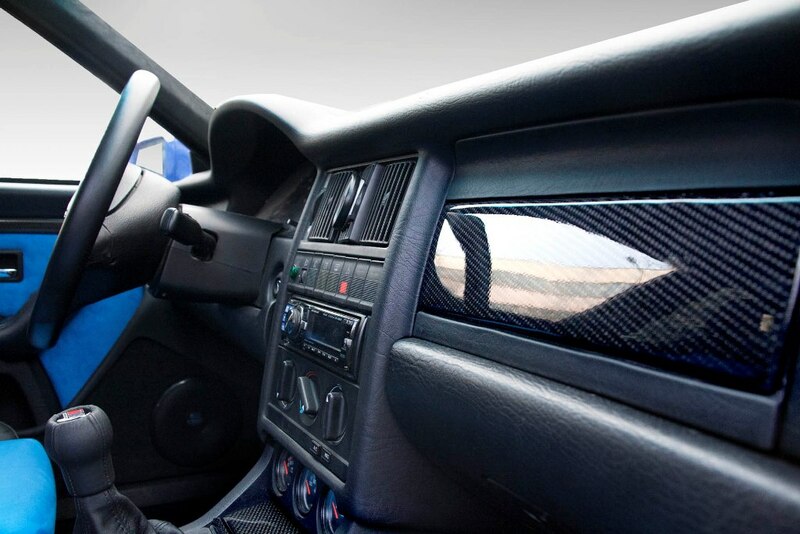 Further two exterior panels on the B and C pillars are in carbon fiber. 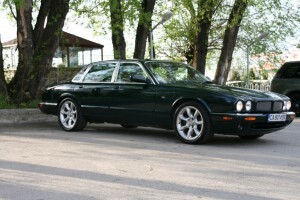 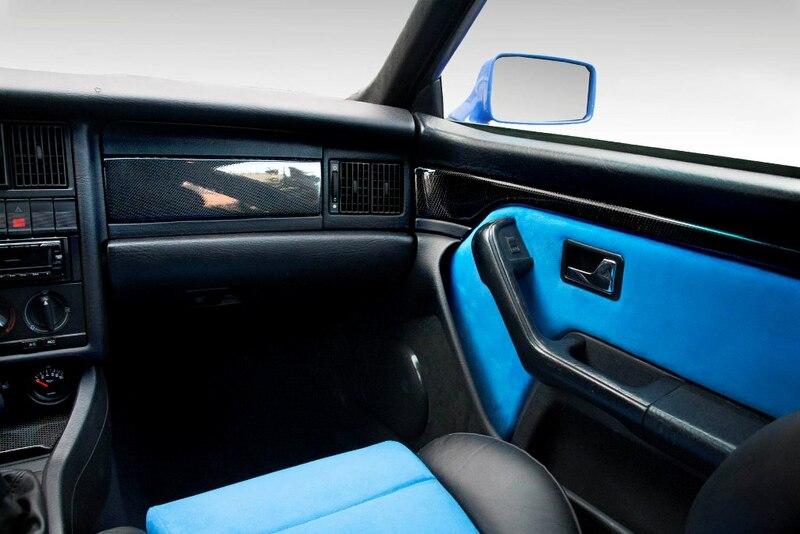 The interior was fully upholstered by Carbon Motors in January 2013. 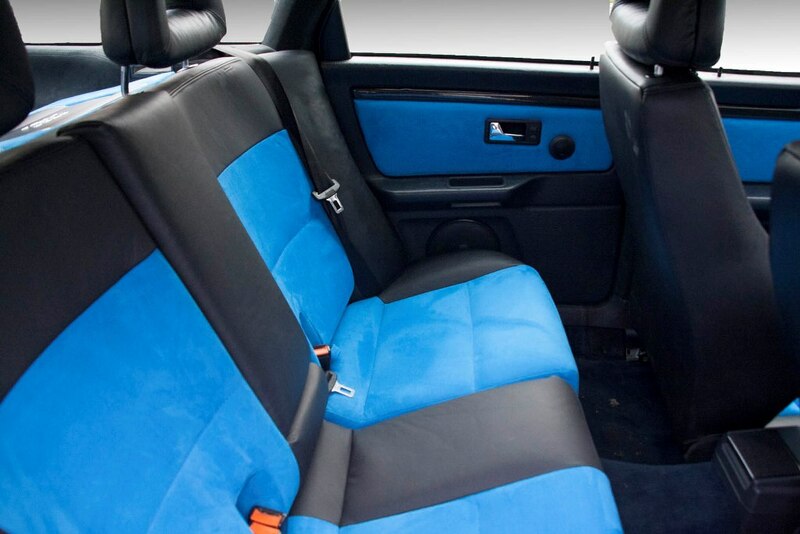 The seats are original RS2 front seats in the RS 2 black leather with blue Alcantara combination. 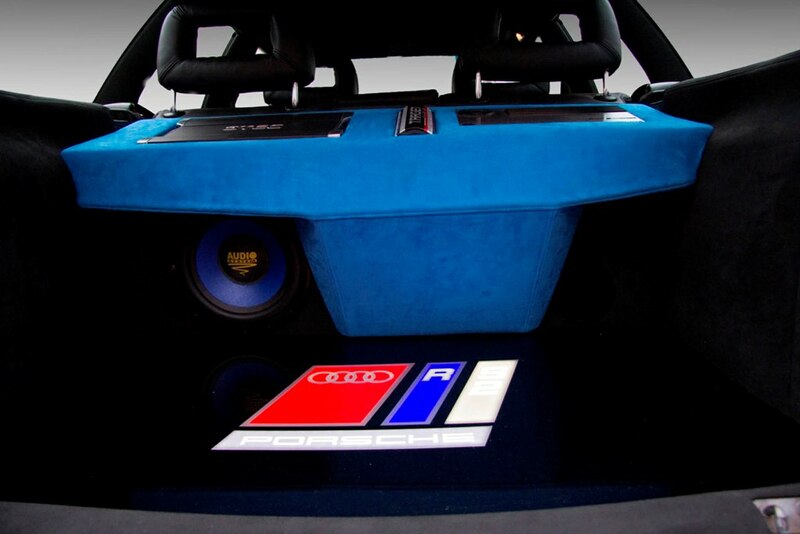 The rev counter and speedo are RS2 instruments, as well as the steering wheel. 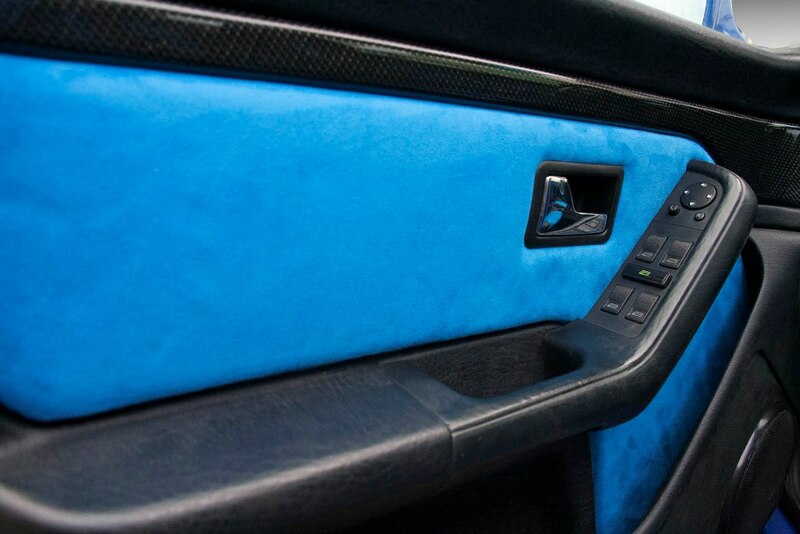 The trim set is carbon fiber coated with scratch resistant varnish. 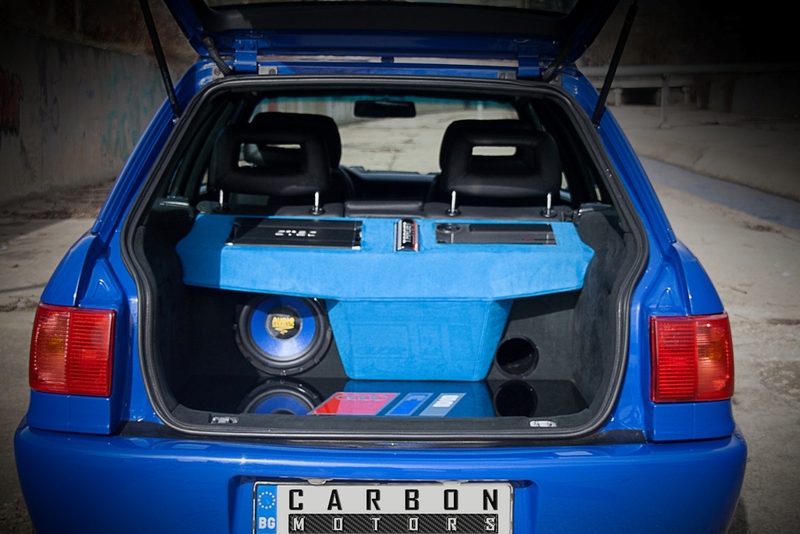 The ceiling, pillars and sun visor and trunk are upholstered in black Alcantara.